The zest for Sapucaí Street, with the emergence of nightlife and events that occur sporadically at weekends, is the main object of analysis in this paper. Located in Belo Horizonte (Brazil), this street bounds Floresta neighborhood and downtown and is one of the oldest in the city’s central area. Since 2012, leisure establishments have set up on Sapucaí Street and have attracted mainly young customers. The changes on this Street are here analyzed from the point of view of commercial gentrification. To this end, participant observation and interviews were conducted with business’s owners, employees and customers in order to understand their motivations to invest and/or consume in that part of the city, and also to capture their representations about the Street. From the latest and still in process changes on Sapucaí, we question the durability of commercial gentrification, which is subject to changes in a short period of time and presents a doubly ephemeral character that differentiates it from residential gentrification. This paper is part of a work in progress PhD research. 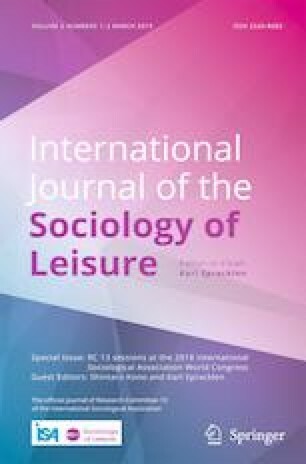 A preliminary version was presented in Research Committee 13 - Sociology of Leisure at the XIX ISA World Congress of Sociology in July 2018. This paper discusses changes and dynamics of Sapucaí Street, located in the city of Belo Horizonte (Brazil). In a short period of time Sapucaí Street has gone through an intense transformation caused by the emergence of nightlife and weekend events, due to opening of bars, restaurants and other cultural offerings. Sapucaí Street bounds Floresta neighborhood and downtown and is one of the oldest streets in the city’s central area. Thus, Sapucaí Street is an old street that was recently taken over by entertainment providers and street parties. As will be shown in this paper, the emergence of these activities and the interest they aroused are directly related to the changes that occurred in the city’s downtown, capable of awakening a renewed interest in the oldest parts of the city by groups within the middle class. Sapucaí Street’s case demonstrates a type of commercial and consumption gentrification in a context where there is a predominance of small and medium businesses and also patrons who seek alternative venues to the traditional nightlife, entertainment and events that are mainly located in the south zone of the city, whose residents and consumers belong to medium and upper socioeconomic groups. In addition, field research on Sapucaí Street showed that in a short space of time several changes to the street occurred, regarding entertainment providers and also patrons. That changed the course of Sapucaí Street as an entertainment hub, as was predicted by the pioneering bars, restaurants and cultural offerings. Our findings reinforce the interpretation of commercial and consumption gentrification as more volatile than residential gentrification. They also show that it can take place in micro-spaces and include a wide range of agents. Commercial or consumption gentrification, as it has been addressed by the literature (Contreras Gatica 2011; Keatinge and Martin 2016; Lees et al. 2016) may manifest as a result of residential gentrification, but also can develop independently. In the latter case, it results from the presence, in certain spaces of the city, of middle class groups attracted by cultural, gastronomic and/or tourist consumption, which leads to the replacement of the old commerce and its patrons. The presence of these new agents usually occurs more intensely in some hours or periods of the day. In the case presented here, it is more intense during the night and when sporadic events take place on Sapucaí Street. Commercial and consumption gentrification is subject to many setbacks, especially when it manifests itself as unrelated to residential gentrification, and even more so when it turns to young consumers, as in the case here studied. The places of bohemian and cultural consumption come and go with more intensity than places of dwelling. These presuppose high investments, as well as more durable appropriations of space, both by its residents and by its merchants, who can count on a more stable community. The zest for Sapucaí Street, with the blooming of nightlife and events that occur sporadically on weekends, is the main object of analysis in this paper. Its primary data come from formal interviews and participant observation. Fieldwork was divided in two main phases (from September to December, 2016 and from November 2017 to July 2018) and included previous site research for mapping and participant observation on different workdays and weekends, during day and night times.1 In both phases the frequency of visits to Sapucaí Street ranged from three to four times a week, with each visit lasting from two to four hours. The first fieldwork phase included participant observation in the range of entertainment providers on Sapucaí Street. Customers and staff’s behaviors and remarks were observed. Special attention was paid to the Street’s motion and also to the entertainment provider’s interior design. Other than daily-basis activities, restaurants, bars and other cultural offerings on Sapucaí Street promote events that happen mainly on Saturdays and Sunday. Those were also included in the participant observation. In both regular activities and sporadic events, participant observation included conversations with customers, patrons and staff. Chats with patrons covered their preferences and motivations to go to Sapucaí Street and their representations about the Street. Information about customers’ schooling, occupation and place of residence were also gathered through those conversations. Staff talked about their representation about the clientele; for example, in terms of age, social class, place of residence, increment or decrement along time etc. They were not asked specific questions on these attributes, but spoke freely about how they characterized customers and street’s patrons focusing on the entertainment provider they work at. Data regarding participant observation were registered in field notebooks after visits to Sapucaí Street. Although, while in the field, mobile phone voice recorders were strategically used for carefully registering details and information so as to have a complete record. The second and longer fieldwork included, in addition to continuing participant observation activities, interviews conducted with entertainment providers’ owners. The informants are among the pioneer entertainment providers. That is, those who opened the first restaurants, bars and cultural offerings on Sapucaí Street from 2012 onwards. Recorded, formal, open-ended interviews typically lasted one hour. They were conducted with six entrepreneurs and transcribed afterwards. The main goal was to approach the choice origin and motivation for their business at Sapucaí Street and their representations about clienteles. For instance, they were asked why they decided to start a business on Sapucaí Street and how that unfolded; and also, how they characterize their clientele. Socio-demographic data such as age, formal education, place of residence and occupation were also collected on the interviewed entrepreneurs. Data from participant observation and from formal interviews are here analyzed through the symbolic interactionism’s perspective, emphasizing the meanings and representations individuals attribute to their experiences and spaces (Becker 1997; Blumer 1969). 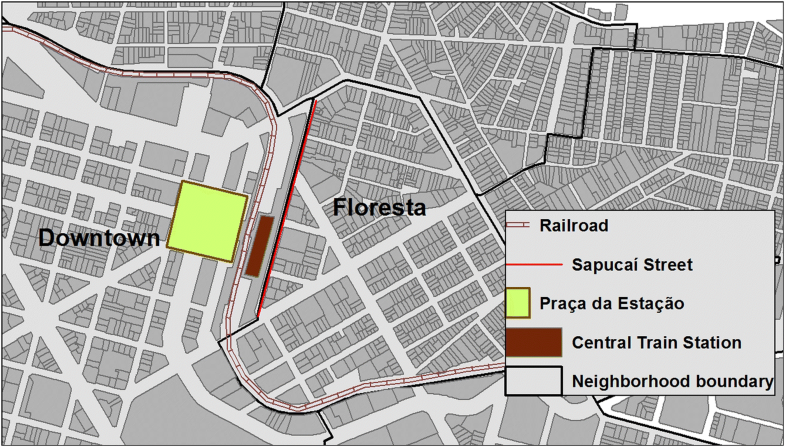 Sapucaí Street is a 600 m long street that borders a neighborhood named Floresta and the inner-city area of Belo Horizonte as shown in Fig. 1. This boundary, apart from political-administrative purposes for city management, is physically evident through a discontinuity of topography in which Street and neighborhood levels are higher than downtown land. Below Sapucaí Street and paralleling it is a railway and the central train station. They were built as part of the initial development of the city and are adjacent to Praça da Estação, a large and symbolic city square. The natural elevation difference is added to the square’s flatness and to its surrounding horizontal and low-rise constructions. 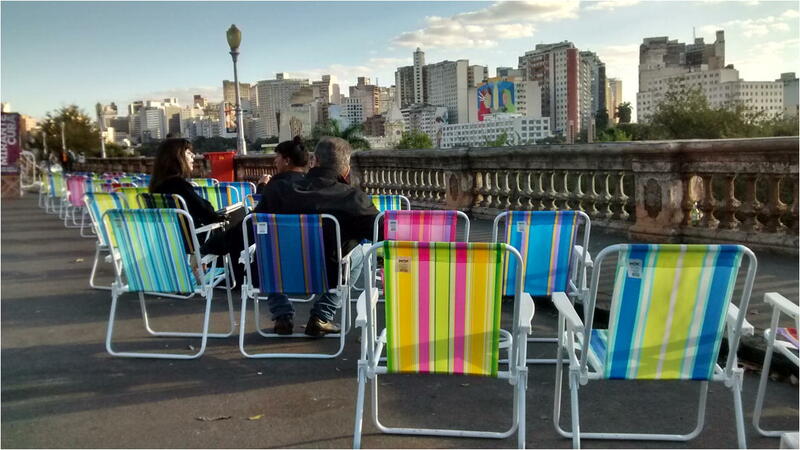 Together they turn Sapucaí Street into an observation deck from where one can see part of Belo Horizonte’s downtown with its skyline and hectic avenues and pathways. Depending on the observer’s location along Sapucaí Street, it is also possible to see one of the two viaducts that link downtown to Floresta. They are located at the street’s ends and are the route for countless private vehicles and public busses that make everyday traffic busy. Santa Tereza Viaduct operates as the access road from downtown towards the neighborhood and Floresta Viaduct allows the reverse route. A staircase located on the street’s sidewalk that adjoins the central train station allows walkers to transit between Floresta and the city center. On that same sidewalk, a balustrade protects the pedestrians from the topographic unevenness that separates Sapucaí Street from the downtown area. Then, as it is located on the higher end, Sapucaí Street works as a balcony for those who wish to spend time observing the views in the midst of the rushed urban scene (see Figs. 2, 3 and 4). From Sapucaí Street one can see buildings and monuments that are listed as heritage by the City and State councils. From the middle of the street the view is to Station Square, one of the oldest in the city, and also to the eclectic building that used to function as the central train station. Nowadays that same building is home to a public-private museum. At Sapucaí Street’s ends, the view includes Santa Tereza and Floresta viaducts, both constructed in the early twentieth century when Belo Horizonte was beginning its urban expansion. 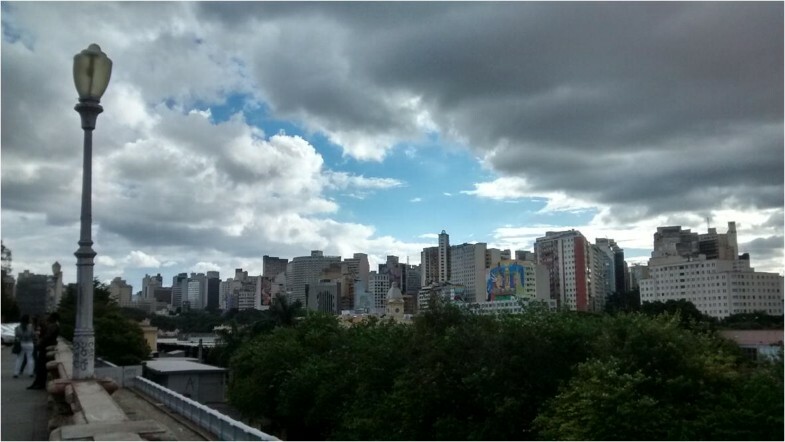 Belo Horizonte’s skyline can be seen along the entire length of Sapucaí Street. On the south side, Sapucaí Street is a mixture of uses and landscapes. Mid-rise and high-rise buildings contrast with a small number of lower structures. Residential use is minor as compared to offices and small businesses and to entertainment facilities and activities we will address later on. The remaining houses on the street are divided between modest and imposing. The first group is represented by Vila Bracarense, a group of simple houses where generations of a homonym family have resided since the beginning of the twentieth century. In contrast, one can find what used to be a manor house erected at the time of the city’s construction. It was designated as a heritage site in 1996 by the Heritage Council of Belo Horizonte and has recently been renovated for use as the headquarters of a cultural institute that belongs to a Brazilian construction and engineering company. The stable landscape contrasts with Sapucaí Street’s intense motion on weekdays and especially during rush hour. On the road, private and public vehicles drive at surprisingly high speeds and numbers. Two bus stops allow people to get on and off 17 different local bus lines. On the sidewalks, a substantial number of pedestrians come and go, especially on routes starting or ending at the staircase that allows access to the central train station and downtown area. If in that sense the Street can be defined as a hectic passageway, from 2012 onwards another kind of commotion has emerged with entertainment providers arriving on the street. On weeknights and weekends bars, restaurants, nightclubs, cultural centers and cafés began attracting young and adult customers. Sapucaí Street became a hub of urban hip culture and entertainment. Although these facilities differ in terms of services and goods offered, there are similarities among them. Their milieus include vintage and inventive decoration and menus that try to escape from the conventional through creative and imaginative food and drink. Many of the entrepreneurs belong to the arts and culture scene and attempt to create establishments with concepts and elements that make them “offbeat and hip”. What was there before in real estate is now occupied by entertainment providers. The new establishments took the places of local and small business. What used to be a glazing store is now a bar, a nightclub was back then a small restaurant that served simple and cheap meals, a copy shop and stationary store became a fancy restaurant, an empty shed that once served as car wash is a cultural center and bar and a small car repair shop is a burger pub. The dynamics of Sapucaí Street during the day follows as described here. However, without the offer of services and products in local businesses whose properties are currently occupied by night and weekend leisure establishments. This new interest in Sapucaí Street is linked to the revitalization of Belo Horizonte’s downtown. Promoted by the city administration, it included the renovation of various public spaces and monuments, and it encouraged the opening of cultural spaces. Among these revitalization actions are the renovation of the Station Square, with the opening of a museum in one of its restored old buildings and also the creation of cultural centers and convention and exhibition centers inside former warehouses and industrial buildings. In the context of expanding production and consumption of culture in post-industrial cities in the twenty-first century, Clark and Lloyd (2000) has pointed out that cities function as entertainment machines. Therefore, they are characterized by further more than the quantitative increase in restaurants, shops and other cultural offerings. Elements of the city, such as former warehouses and industrial sites, whose functions were instrumental (use value) become valorized for their esthetic concerns (sign value). “These strategies do not treat anachronistic elements of the city as a drag on new development, but as potential resources to heighten the aesthetic significance of urban fortunes.” according to Clark and Lloyd (2000, p. 11). Sapucaí Street’s recent changes are also related to social and cultural movements that took place in the downtown area and started the fight for more democratic and inclusive uses of public spaces. These movements were preceded by Duelo de MCs, a rap music movement of young people from the periphery that established their gathering place under the Santa Tereza Viaduct. Once started in 2007, Duelo soon attracted young people from the middle classes. Together, the revitalization process and the rise of social movements played a role in the changes of the downtown dynamics. These two factors helped renew the interest of middle class groups in the downtown area, especially groups of people with high cultural capital formed by artists, professionals with university degrees and undergraduate students (Berquó 2015; Jayme and Trevisan 2012). Beyond downtown’s revitalization and re-significance, the beginning of nightlife on Sapucaí Street helped strengthen a trend of bars relocating from the south zone of the city to the east zone, mostly inhabited by lower middle class groups. 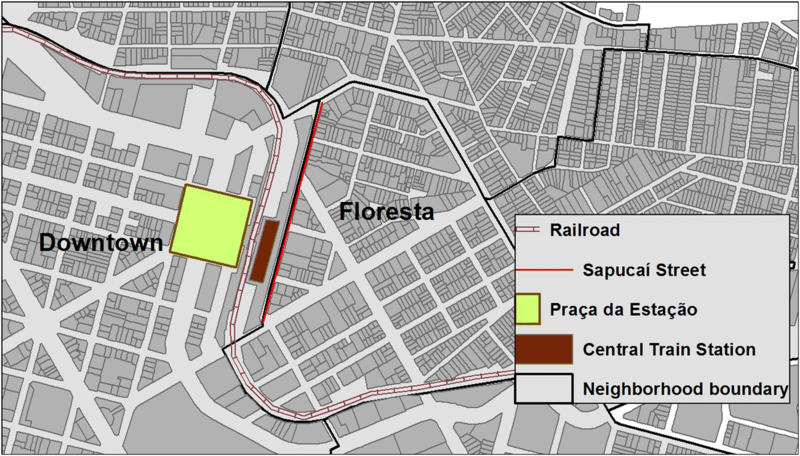 Some east zone neighborhoods such as Floresta, where Sapucaí Street is officially located, are among the oldest parts of Belo Horizonte (de Andrade and Arroyo 2012; de Andrade et al. 2015). When arriving at Sapucaí Street around 5 pm on a regular Friday, the street’s main feature is its intense bus and car traffic and pedestrians that use the street as part of their daily commute. The character of the street as an entertainment area becomes explicit as the entertainment providers along the street begin activities. This change is very clear by night fall, but while not readily apparent, it begins in late afternoon. Open doors show the coming and going of employees making final preparations to receive the clientele. At several establishments tables and chairs are set up on the sidewalk. Gradually the noises of car horns and engines are mixed with more pleasant sounds, such as lounge music or short rehearsals by musicians as they prepare for their performances later that night. Customers begin to arrive from around 6 pm and occupy the inside and the outside spaces of the establishments. They also take up the opposite sidewalk on the balustrade side of the street in order to appreciate a typical picture-frame of the downtown by sundown. The variety of sights allowed along the street is among the reasons for the transformation of Sapucaí Street. Salumeria Central, a pioneer among the offbeat establishments on the Street, opened in 2012, and was managed by six business partners. Its area of expertise is artisanal products, such as sausages, pastas and cheeses. One of the partners, whose main occupation is in audiovisual production, was responsible for the design of the establishment. From Salumeria one can see part of the downtown and the iconic viaduct Santa Tereza, which was charming enough to influence the owners’ selection of this location, according to the chef and partner Massimo Battaglini (Girão 2016). One year after starting Salumeria, the same partners opened a second restaurant right next to the first one: Pecatore is a seafood restaurant with a very appealing milieu. Shortly after the establishment of Salumeria and Pecatore, Benfeitoria (or Benfs) was opened on Sapucai Street by three partners, who are artists and marketing professionals. One of the partners defines Benfs as a “collective of art and culture”. It is an open space to promote and hold workshops, fairs, exhibitions, film exhibits, concerts and so on. Benfs was established in a shed of approximately 100m2 through crowd funding. In addition to the cultural activities and events, it houses a bar. Hours are nights from Wednesday to Friday and Saturday afternoons and evenings.3 One of Benfs’ main attractions expands beyond the shed into parklet across from it, next to the balustrade-sidewalk. It is there, with the already praised sight, that most of the customers gather. Salumeria’s neighbor, Sapucaí Botequim, is a restro-bar that started in 2017. It belongs to two architects already experienced in the bar and restaurant business. In their interview, they explained why they chose the street to open a business: “we knew the renewal tendency of Belo Horizonte’s downtown, its appreciation process and so on. Then when we went by Sapucaí Street and we thought: ‘Oh my, this street is wonderful’. And we always had the dream of leaving Coração Eucarístico [neighborhood where the couple’s first business was located], opening a bigger place that allowed us to develop different dishes and work with special and craft beers. We wanted to broaden our businesses. It worked out here!” (Botequim Sapucaí’s business partners, personal communication, May 18, 2018). Similar motivation is found in other interviews. As stated by the owners of Dorsé, which started in 2016: “We [he and his business partner] chose the spot for the restaurant because of the view you have from here to downtown. We liked it a lot when we came here. We were looking for a spot on the south side of the city, but when we discovered it here we liked the street too much. The street was commercial and busy only during business hours, that is, during the day. There was less motion at night and on weekends, but we still faced the challenge of bringing the clientele here.” (Dorsé’s business partner, personal communication, May 22, 2018). In addition to the businesses themselves, customers’ preferences and representations are very meaningful to address and discuss the recent changes on Sapucaí Street. 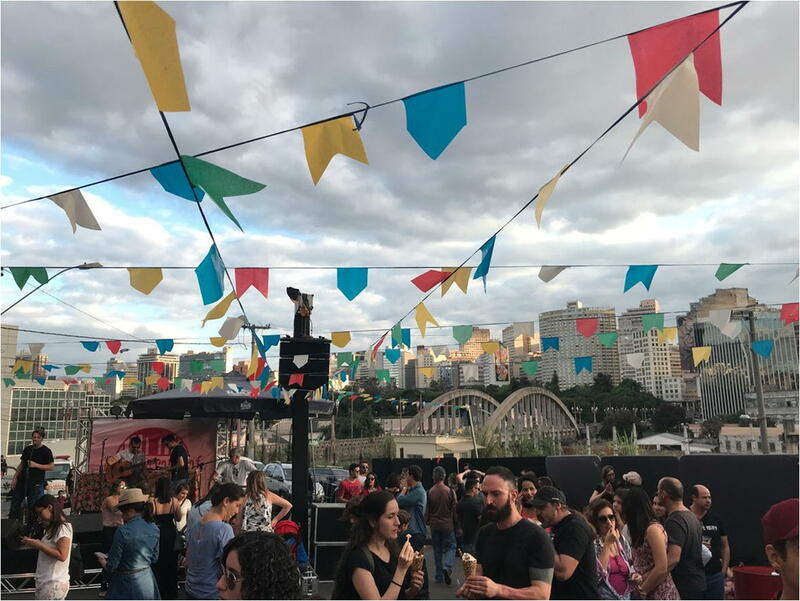 From conversations with Sapucaí Street’s patrons we can infer that they see the street as a new and trendy option for leisure in Belo Horizonte, as an entertainment possibility beyond those traditionally located in the south of the city. Among regular patrons there is a recognition of Sapucaí Street as hip and quaint. There is also a strong admiration for its features with remarkable attention to its role as an observation point from where one can “appreciate the sunset and the downtown skyline”, as pointed out by an interviewee who sometimes goes to Sapucaí Street after work to meet friends and have a beer. Regular patrons describe how pleased they feel about discovering and being part of the Street’s “vocation for amusement and fun”. Going to Sapucaí Street has a cultural and lifestyle significance for middle class groups, especially youth seeking less traditional forms of leisure. After entertainment providers open, Sapucaí Street becomes a new landscape in the city. Renovation resulted from the interventions that changed the abandonment aspect of some of the old properties, as well as allowed the discovery by groups of the middle class who seek more authentic places. This phenomenon observed on Sapucaí Street is also noticed with the opening of several other entertainment providers in neighborhoods in the eastern part of the city. According to data collected through participant observation, regular patrons share some general characteristics. Those who wanted to engage in conversations when fieldwork took place were highly educated, with ongoing or completed university degrees or post-graduate degrees. They reside mainly in neighborhoods located in the southern area of Belo Horizonte. As highlighted previously, this area is home mostly for middle and upper class families according to social segregation analyses (de Mendonça and Marinho 2015). Despite the predominance of the middle-class groups, participant observation led us to notice that the clientele is not homogeneous, just as the entertainment providers’ various proposals and resources are not either. Benfeitoria and Mi Corazón, for example, attract younger people, mainly undergraduates and graduate students. Their attractions include musical performances by bands and DJs and their menus offer alcoholic beverages, such as beers and cocktails, appetizers and finger food, rather than elaborate meals. Bars and restaurants, such as Dorsé, Salumeria and Botequim Sapucaí, have clientele from more diverse age groups, but mainly adults and people who live in neighborhoods in the city’s south-central region.4 The décor of these resto-bars was caringly planned, with charming details regarding lighting, furniture and ornaments. Dish presentation tends to be elaborate and attractive, demonstrating the restaurants’ efforts to please their clientele. The menus include delicatessen items as well as craft beers from small breweries, wines and fine dining options. Benfeitoria differs from the other entertainment providers because of its role as a cultural center, which is evident both in its programming and in the interviews given by its patrons and staff. The weekly programs include musical performances, movie showings, lectures, round tables, exhibitions, small fairs held by local producers, book launch events and so on. The versatility of the building fits this variety of activities. On Wednesday nights it is a movie theater, with rows of seats arranged in front of the screen where the film is projected. On Fridays and Saturdays, the furniture is placed in a tiny mezzanine or dragged into the corners. Then, the floor becomes a dance floor with a stage for live entertainment at one end. According to one of the space’s founders, there is a definition of Benfeitoria that associates it strictly with the bar and with musical presentations. This is seen by her as a misconception, since its main goals are to enable the dissemination and expression of cultural and artistic manifestations and to hold discussions and debates on diverse and contradictory subjects such as the right to the city, public spaces and their uses and conflicts. Hence the bar where beers, drinks and snacks are sold should stay in the background. It was created as a strategy to support Benfeitoria financially, but ended up in the spotlight when leisure events on Thursdays, Fridays and Saturdays started attracting many people (Benfeitoria’s founder, personal communication, May 23, 2018). In spite of that, the goals of Benfeitoria as a cultural space that craves and nourishes youth activism are shared with its leisure purposes. For a Benfeitoria staff member, who is a bar freelancer with a degree in Tourism, the profile of consumers is linked to the type of event that happens. According to him, “Thursday and Friday nights are more mixed. If there is a party, show or a carnival event going on, for example, there are people flirting and a lot of drinking. If not, then a more specific public comes. People who are more politicized and connected with the issues of the city, I would say. There are also some faithful customers who live in the neighborhood. But overall, I think there are a lot of people from the south-central region of Belo Horizonte, lots of gays and lesbians and a lot of people who are interested in Benfeitoria as a project, a place for sharing knowledge and experiences.” (Benf’s staff member, personal communication, November 17, 2016). Customers and patron’s views support his interview. They say Benfs is a place for unconventional people, not mainstream customers. It is also represented as a “friendly environment where the plurality of society is welcome” and as a way of “occupying the city’s public spaces and discussing its issues”. Together, the specificities and generalities described here allow us to interpret the transformation of Sapucaí Street into an entertainment hub as a process of commercial gentrification. Linked to changes in the sectors of tourism, leisure, and goods and services trade in the region, this phenomenon was recognized in the literature of the 1980s, when analysts developed a broader concept of gentrification (Lees et al. 2008). According to Smith and Williams (1986), residential gentrification can be closely linked to the redevelopment of water fronts for recreational functions, the decrease of manufacturing facilities in the city center, the rise of hotel complexes and convention centers, the creation of offices central to the cities, as well as the emergence of modern districts of shops, bars, cafes and restaurants. Commercial gentrification induces the same types of practice as classical residential gentrification, which deals with the displacement of the traditional population by groups of higher income, middle and upper social classes. However, commercial gentrification does not involve the population that resides in a particular region, but patrons and customers of the commercial establishments. It is also about change in the types of economic activities performed at the local real estate. 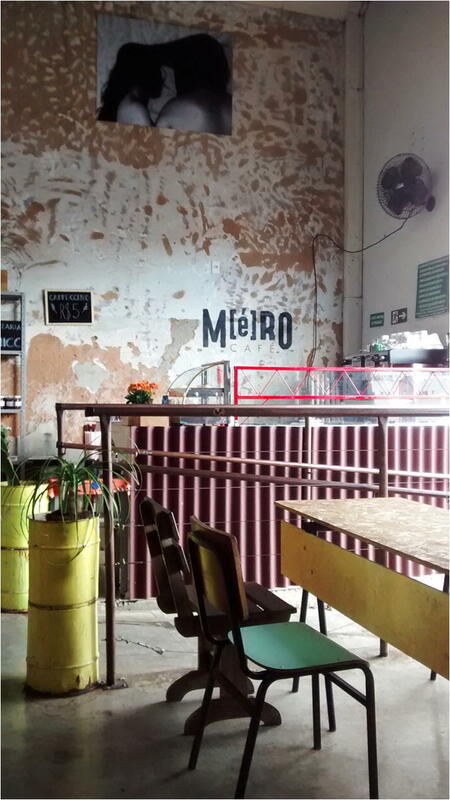 When subjected to that kind of gentrification, small and local business tend to decrease and the new establishments are destined to a clientele that have got economic and cultural capital to appropriate the new spaces and goods and services offered there (Cerqueira 2014; Dias 2011). On Sapucaí Street, for instance, the former local and small businesses, then used by residents and employees of the region, were replaced by entertainment providers that are more sophisticated and focused on customers from upper and middle social strata. Commercial gentrification can be an extension of residential gentrification and tourism gentrification. In the first case, the new residents demand more sophisticated services and commerce, which makes it unfeasible for former and affordable shops and stores to continue their activities once rents increase. Thus, commercial gentrification, together with the residential one, contributes to impede the permanence of the old residents in gentrified spaces (Contreras Gatica 2011; Lees et al. 2016; Zukin 1982). There are also other cases in which commercial gentrification has as its main motive the arrival of businesses with little effects on residential dynamics because commercial activities such as bars and restaurants are not always compatible with the demands from middle class residents (Baptista et al. 2018; Cócola Gant 2016a, b). Sapucaí’s case is in the latter category although it differs from tourism gentrification, since Belo Horizonte is not a city that attracts many tourists. However, Belo Horizonte is known as a city that has an intense bohemian life (Ticle 2016). Local statistics indicate that it is considered the “city of bars”, with an average of 28 bars or pubs per km2 (Tempo 2017). Sapucaí’s case is also different from the cases of gentrification supported by very sophisticated commerce, aimed at consumers with high economic standard. It is a more fluid and organic process, distinct from the large urban revitalization projects that are designed and executed by public and private initiatives in global cities (Smith 2006). People who own Sapucaí’s’ pioneer bars, restaurants and other cultural offerings are small and medium businessmen. Some of them also have occupations in the arts and culture sectors, for instance those who own Salumeria, Pecatore, Benfeitoria, Mi Corazón and Botequim Sapucaí according to data collected through interviews. Benfeitoria started as a crowdfunding-based initiative from artists and advertisers. The consumers of Sapucaí Street are young, many of them undergraduate and graduate students that live in Belo Horizonte. In the conversations during participant observation they characterize the street as a new, trendy and quaint leisure option in the city, an option beyond traditional bars and events and mass consumption. Commercial gentrification may or may not be associated with residential gentrification. In Brasil the housing deficit affects mainly low-income people, as real estate developers have other spaces beyond the city’s central areas to build new homes for the middle and upper social classes. Therefore, the commercial form of gentrification is the one that has predominated (Betancur 2014; Lees et al. 2008; Rubino 2009). Sapucaí Street’s study case isn’t an idiosyncrasy among cities in Brazil as we can refer to other cases. For instance, in Recife Antigo (Leite 2007), Pelourinho in Salvador (de Pinho 1996), the Luz region in São Paulo’s downtown (Sklair and Frugoli Jr 2009) and Rio de Janeiro’s old town (Pio 2001; de Vieira 2006) places were created for cultural consumption since the focus was not the attraction of new residents, but of investors, consumers and tourists (Betancur 2014; Janoschka et al. 2014; Leite 2007). All these cases refer to old towns of the cities cited and depended on formal and planned revitalization projects promoted by the government and often in partnership with large companies and real estate developers, with ambitious budgets and projects. In other aspects, the case here studied differs from those cited above. Although the changes in Sapucaí Street are related to the revitalization of Belo Horizonte’s downtown, the street is located in a bordering neighborhood. Sapucaí Street’s transformation process was more organic and spontaneous because it was started by small and medium investors. Entrepreneurs of the pioneer entertainment providers are also not part of groups with a tradition in the gastronomic and cultural areas of the city. As approached before, some of them opened their businesses there for cultural and/or political reasons, choosing Sapucaí Street for its features. What also draws attention to Sapucaí Street’s case is that, unlike the cases most studied in both the international and the Brazilian literature, the street’s transformation into trendy nightlife and entertainment hub is not about the consumption of the monumental cultural heritage of old towns in revitalized cities. Belo Horizonte is a younger city, only 121 years old. Sapucaí Street is close to the historical downtown – which was revitalized and indirectly influenced the street’s symbolic value change – and the street also functions as an observation deck from where one is able to see the city’s architectural and cultural heritage, as previously described in this paper on page 4 and shown on pictures 2, 3 and 4. Also, the buildings in which entertainment providers are located are modest ones, not monumental, and previously contained small and local businesses. Along Sapucaí Street’s extension one is able to find heritage. In fact, four of the buildings on the street are listed as historical and architectural heritage by Belo Horizonte’s City Council of Cultural Heritage (CDPCM-BH). However, none of pioneer entertainment providers6 occupied the historical buildings. In this sense, Sapucaí Street’s transformation does not encompass the two kinds of postmodern power landscapes7 pointed out by Zukin (2010). Sapucaí Street is not about monumental and historical appreciation of heritage, as stated before. Neither is it about spectacular and brand new constructions in big cities, such as sky-scrapers, shopping malls or buildings signed by trendy and well-known architects. There is no doubt that Sapucaí Street’s transformation is part of the wave of revitalization processes that symbolically changed downtowns (Hiernaux and González 2014) and that use heritage protection and culture as its main instruments. Yet the street was also influenced by movements of social and cultural appropriations of central public spaces by middle class youth, as addressed in part 2. Once again, Sapucaí Street is located in an intermediate space, between the official policy that makes the downtown more attractive and the popular movements that politicize its uses. This is reflected in the street’s pioneer entertainment providers and their bare-bones interior designs, although loaded with elements of contemporary culture such as graffiti, video displays, antique furniture and recycled materials. On Sapucaí Street, proximity and distance coexist when it comes to the architecture, with monumental aspects linked to the first years of the city and, therefore, listed and recognized as heritage. From Sapucaí Street it is possible to appreciate this architecture and this landscape as an outstanding aspect of the street, as previously shown through patrons and entertainment provider’s representations about Sapucaí Street. However, the set of pioneer entertainment providers is housed in modest buildings with interior design that tends to the discrete and austere, even if arty. One of the most sophisticated and expensive restaurants of the street excels in its despoiling manner, in spite of the artistic details easily perceived by costumers with cultural capital.8 In other entertainment providers, such as Benfeitoria, this despoiling and austere manner is repeated, both on its gritty facade (see picture 5) and by its furniture and interior design, a mix of secondhand and recycled objects (see pictures 6 and 7) (Figs. 5, 6 and 7). When talking about the motivations for Benfeitoria’s location, its founder expresses an admiration for the Street, its features and landscape: “Sapucaí Street is this in-between place. There are many buildings here, but there is also a feeling of spaciousness, because the buildings are kind of far apart. It’s different from when you look around and all you see is several buildings next to each other. So here [at Sapucaí Street] I can feel the city bustling, but I feel I have enough space to see the sky, to see the city… So here at Sapucaí Street I am not overwhelmed by concrete 100% of the time, like in certain areas of the city.” (Benfeitoria’s founder, personal communication, May 23, 2018). If the Street itself was the motivation for Benfeitoria and other entertainment providers, the appreciation for Sapucaí Street exceeded the discourses and the activities of these businesses and their consumers. Since 2017, Sapucaí Street has been gaining more visibility by being the venue for bigger events such as Casa Cor and CURA. Casa Cor is an architecture and design exhibition that takes place in 26 cities, 20 of them in Brazil and 6 in Latin America and North America (in Bolivia, Chile, Ecuador, Paraguay, Peru and the United States).9 Promoted by a major publishing company, Casa Cor was held on Sapucaí Street, at the Federal Railway Network (RFFSA), a building listed as heritage by the National Historical and Artistic Heritage Institute (IPHAN). Besides the event in 2017, two other editions were scheduled for 2018 and 2019 at the same location. The Urban Art Circuit (CURA)10 happened between August and December 2017 to promote the painting of buildings’ blank walls. It was sponsored by private companies in partnership with Belo Horizonte’s City Hall. Six blank walls of buildings located downtown were painted. Although the murals painted during the festival are not on Sapucaí Street but downtown, they can be seen from Sapucai Street and that is the reason why certain buildings were selected for the artistic interventions as the festival’s purpose is to turn the Sapucaí into an urban art lookout. In August of 2017, while the painting of the buildings was happening, structures were installed on Sapucaí Street for appreciation of the art works, as seen in Fig. 8. 4 How Ephemeral Is Commercial Gentrification on Sapucaí Street? Lastly, this paper discusses more recent issues related to nightlife on Sapucaí Street through the comparison of two phases. The first one, from 2012 to 2017, includes what has already been described in the last two sections: the beginning of activities and events by entertainment providers, as well as the expansion of Sapucaí’s visibility from 2017 onwards. A second and more recent phase regards the period between February and August of 2018, when the changes described below occurred. The pioneer entertainment providers started operating on Sapucaí in 2012. As time passed this was followed by the opening of more bars and restaurants and also by the increase of Sapucaí’s visibility and fame as mentioned before using as examples Casa Cor and Cura Festival. Since then, the number of consumers and patrons has grown, both because the offer of entertainment options increased, and because the street became more famous. In addition, the street started hosting more events. As observed during fieldwork, on some of those occasions the number of customers was greater than the entertainment providers could manage to host. In the beginning of the Street’s transformation into a trendy entertainment hub, crowds were not seen on the street. The pavement and sidewalks functioned as an extension for bars and restaurants. It was common to see clients outside, talking and/or smoking. Also, these places were frequented by a socially and culturally homogeneous group, despite some differences we have previously addressed. With the increase in visibility and in the number of regulars, along with new activities and new establishments, other groups of people began to show up, specially on Fridays and Saturdays. 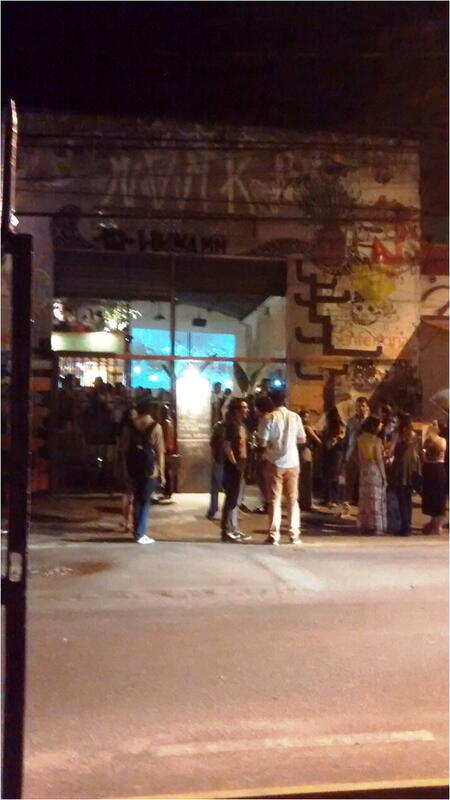 The increase in regulars is evident at some places: crowds gather in front of Benfeitoria and Mi Corazón, where performances by bands and DJs usually take place. People stand on the sidewalk and on the pavement, partially blocking the passage of private vehicles and busses. Establishments with strictly profit-making goals that lack the arty and offbeat tone of the pioneer businesses started operating. For instance, a tiny store opened next to the night club Mi Corazon where only beer and cigarettes are sold, at appealing prices. The fact that Mi Corazon and Deja Vu attract crowds of youth at night was among the reasons that led their neighboring restaurant, Pecatore, to close in May of 2018. Pecatore was the second restaurant to open on Sapucaí in 2012, when nightlife emerged on the Street. It was also the fanciest and most expensive restaurant if compared to others on the street. Once the Street became too crowded, Pecatore could not function properly and had its activities impaired due to problems such as difficult parking, according to personal communications given by entertainment providers. In addition to the increased number of regulars, middle class groups are no longer the major and main strata to frequent Sapucaí. The increase in regulars included the arrival of other middle class groups, but also of new users and uses, which led to a more socially diverse nightlife on Sapucaí. Together, crowds of people and new users and uses threat to take away Sapucaí’s unconventional and exclusive atmosphere, something that matched the taste of youth middle class groups with cultural capital, who claim to have discovered and contributed to Sapucaí’s “vocation for amusement and fun”, as shown in part 3. Regarding street users and uses, others groups began to come to Sapucaí. For instance, a group of lower middle-class teenagers who gather on the balustrade-sidewalk to listen to hip-hop and rap music and to drink alcoholic beverages that they bring in coolers. Street vendors selling drinks and snacks also started to sell their products on Sapucaí,12 once again changing the atmosphere that attracted the earliest businesses. This diversity and the increased number of patrons, and of practices and habits that emerged from these recent changes have caused some conflicts. Diversity is inherent to public spaces, but it is also a source of conflicts. When the number of Sapucai Street’s regulars increased, nighttime activities started to last longer and the amount of garbage produced became much larger than before. According to entertainment providers and regulars who were interviewed in our field research, there have been complaints from local residents about noise and rubbish. In addition, the arrival of street vendors has caused dissatisfaction on the part of some business owners. They say the sale of alcoholic beverages at their bars has declined since these products are now sold on the street. These issues – concerning noise, garbage and informal commerce – have demanded public action by the city for negotiations and regulations regarding activities on Sapucaí Street. After Pecatore Restaurant closed, Benfeitoria, another pioneer establishment, also announced the end of its activities. These two businesses were very relevant in bringing attention to the area, facilitating the developments that followed. Now Casa Sapucaí, a new operation, has just been established. 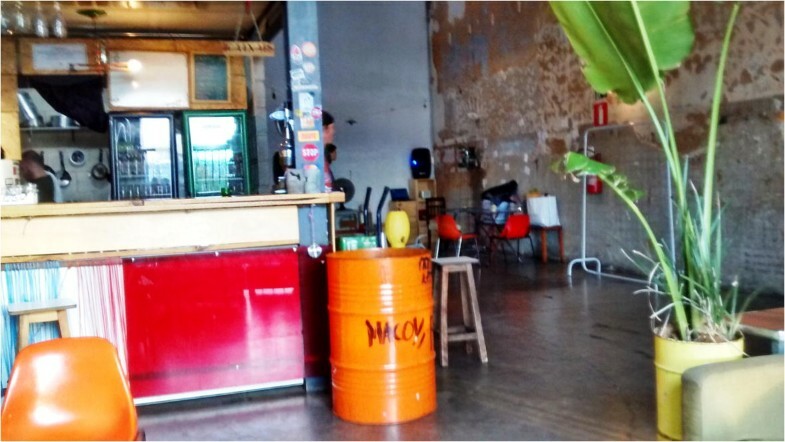 It is a coworking space and also a venue for cultural events and workshops. These are held by various companies related to entrepreneurship and creative businesses in web designing, marketing, audiovisual production, clothes design and so on. These modifications show us that it is early to interpret Sapucaí Street’s transformations, as changes are still ongoing. Nevertheless, they point to two relevant issues that will be discussed as we conclude this paper. First, when residential and commercial gentrification processes are compared, we realize that the first form of the phenomenon is a course that takes decades, as in the case of hyper gentrification in Brooklyn Heights, New York (Lees 2003) as well as in Barnsbury, London (Butler and Lees 2006). Residential gentrification proves to be a long-lasting and stable process and other than linked to high real estate investments, as well as to capital ownership by those who purchase real estate for housing or as an investment. The second and concluding discussion in this paper relates to the latest changes that took place on Sapucaí Street and point to another ephemeral characteristic of commercial gentrification. It is a fragile and impermanent phenomenon because it is subject to sudden transformations – such as the uncontrolled increase in the number of people coming to Sapucai Street, the arrival of street vendors and the closing of some entertainment providers. These transformations may (or may not) lead to the loss of Sapucaí Street’s perception as a trendy and appealing urban hub for middle class consumers. Depending on the direction these changes take, the perception of Sapucaí Street as a different and unique place, may change and it may then be perceived as an ordinary place. Urban leisure is more fluid and subject to more rapid changes than housing, which is steadier and lasting in urban space and landscape. Other than that, accompanying social media posts – for e.g. Facebook pages and Instagram profiles that belong to the entertainment providers - helped to keep track of events schedule and also of the opening and closing of bars and restaurants. ‘Belo Horizonte: Transformations in the Urban Order’ is a research on socio-spatial organization of Belo Horizonte Metropolitan Region (RMBH) published by Observatório das Metrópoles. Its primary data are the national censuses carried out in 1980, 1991, 2000 and 2010. In order to analyze how the metropolis’ population is distributed across RMBH, its territory was segmented into 7 regions and 24 socio-occupational categories (CATs) were built based on monthly income and formal schooling. These categories were clustered into social types in order to characterize residents’ social composition in the 7 regions. 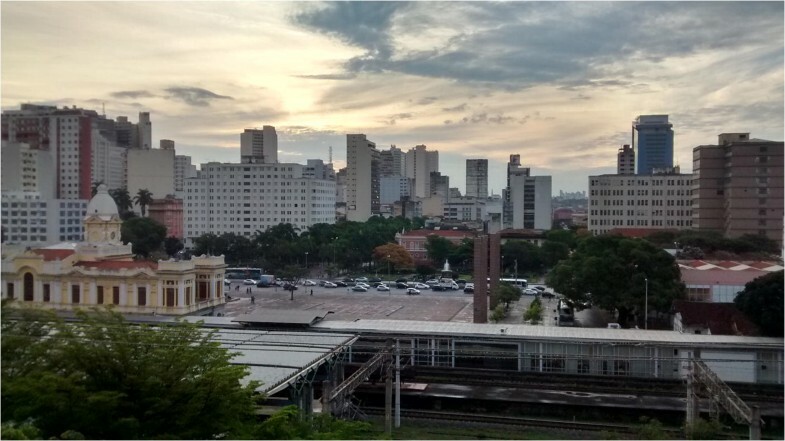 The methodology of socio-spatial analysis developed by Observatório das Metrópoles demonstrated the concentration of upper and middle social types in Belo Horizonte’s central and southern areas. Upper social types distinguish themselves by the concentration of highly educated professionals and of chief executive and managing socio-occupational categories. The middle social type consists of small employers and employees in medium occupations such as office, supervisory, technical, health and education, security, justice and post and artistic occupations (de Mendonça and Marinho 2015). From Monday to Friday in the afternoons the shed works as Mero Café, which serves drinks and snacks. It is a space used for encounters and as workplace, since groups of professionals schedule small business meetings there or work individually on their laptops. Those restaurants where working hours include lunchtime receive customers who work in offices and businesses around Sapucaí Street. The literature on gentrification is extensive which would result in an arduous and probably unfruitful task if mapping all types of gentrification. Even within the commercial one, which would also separate us from the type we are analyzing. A final footnote refers to the gentrification of the old supply markets found in many cities and that today have become tourist attractions, with consequent changes in goods offered and in patrons (de Andrade 2017). Once Sapucaí Street’s transformation started in 2012, three of the four buildings listed as heritage were closed and/or under renovation. Power landscapes are spatial orders imposed on the environment, constructed and ordered by dominant social institutions. Two of the business partners who own this restaurant are videographers. Inside the restaurant there are some video displays that demand a close look at the images’ subtle movements. See https://casacor.abril.com.br/ for further information. See https://cura.art/ for further information. The arrival of street vendors has to do with the arrival of crowds. Before it was not profitable for them to go to Sapucaí. There is a contingent of street workers in Brazil who move from one place to the another according to the demand. They are usually at street parties and fairs and they also place themselves where a lot of young people gather, since they offer alcoholic beverages and soft drinks at more affordable prices. This paper’s research received supported from Coordenação de Aperfeiçoamento de Pessoal de Nível Superior (Capes), Conselho Nacional de Desenvolvimento Científico e Tecnológico (CNPq) and Fundação de Amparo à Pesquisa de Minas Gerais (FAPEMIG). Betancur, J. J. (2014). Gentrification in Latin America: Overview and critical analysis. Urban Studies Research, https://doi.org/10.1155/2014/986961. Girão, E. T. (2016). Rua Sapucaí se torna opção de gastronomia e diversão: Com um clima charmoso e agradável, tem opções para gostos variados. Resource document. Portal Uai, Gastronomia. http://www.uai.com.br/app/noticia/gastronomia/2016/04/29/noticias-gastronomia,179404/rua-sapucai-se-torna-opcao-de-gastronomia-e-diversao.shtml. Accessed 15 January 2017. Nieuwland, S.; Van Melik, R. (2018). Regulating Airbnb: How cities deal with perceived negative externalities of short-term rentals. Current Issues in Tourism, 1-15. https://doi.org/10.1080/13683500.2018.1504899. Tempo, O. (2017). PBH mapeia 9.500 bares da capital; veja qual é o bairro mais boêmio. Resource document. O Tempo, Cidades. https://www.otempo.com.br/cidades/pbh-mapeia-9-500-bares-da-capital-veja-qual-%C3%A9-o-bairro-mais-bo%C3%AAmio-1.1536485 Accessed 07 November 2018.